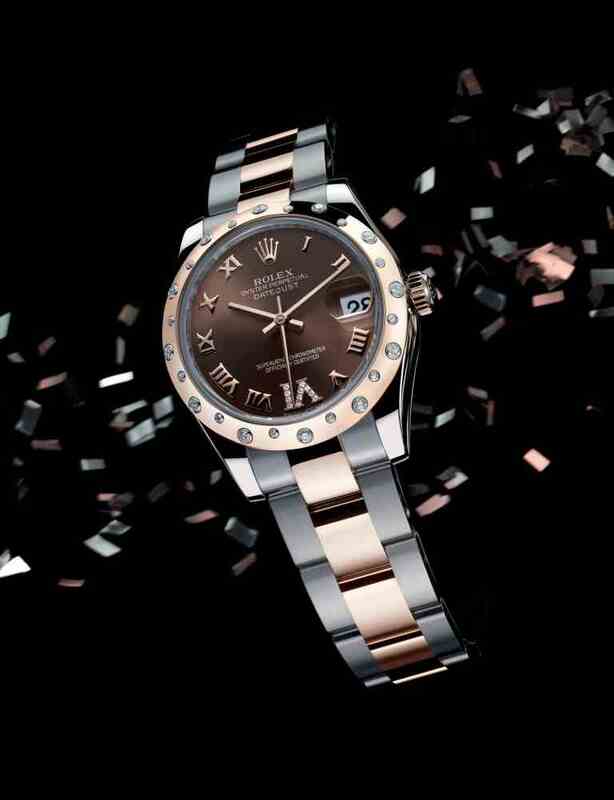 Rolex, the legendary Swiss watch brand presents new Rolesor models in its Oyster Perpetual Datejust Lady 31 mm collection. These new Lady 31 mm models in yellow, white and Everose Rolesor are available with a wide range of dials and decors. The floral motifs on the dark rhodium, and champagne and pink dials are produced using an electroforming technique, a very subtle deposition of material that reproduces the design with extreme precision. These visually attractive motifs give pleasing volume to the dial.The Oyster Perpetual Datejust Lady 31mmis available with either a fluted bezel or domed bezel set with 24 or 46 brilliants, reflecting the slightly rebellious and mischievous side of the pieces with a hint of intrigue. The gem-set Roman numeral hour marker at 6 o’clock adds a fascinating, singular touch to a watch that makes every minute an escape from time. The timeless lightness of this Lady 31 mm should not obscure the extreme precision of its mechanical self-winding movement with a Perpetual rotor.